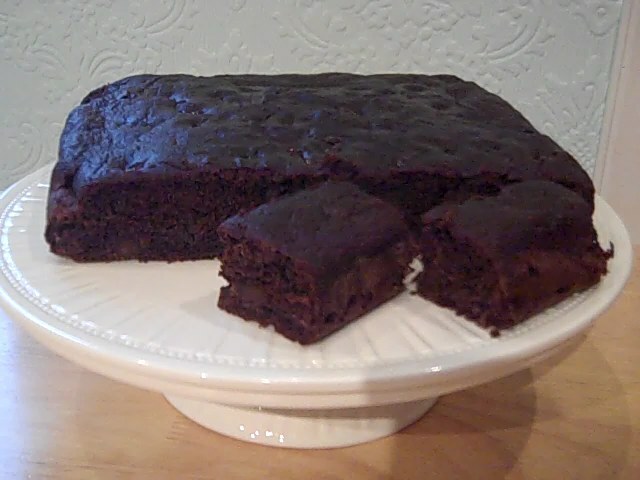 It’s very chocolaty, it’s very fudgy. But can you guess the secret? Preheat oven to Gas 4/175C. Line a 8” x 8” tin with baking parchment. Combine all dry ingredients in a bowl, and mix well. Combine all liquid ingredients and the cauliflower in a food processor and blend until really smooth, you don’t want ANY lumps in there at all. Pour wet into dry ingredients and mix until just combined, then pour into prepared pan and bake 45 minutes. 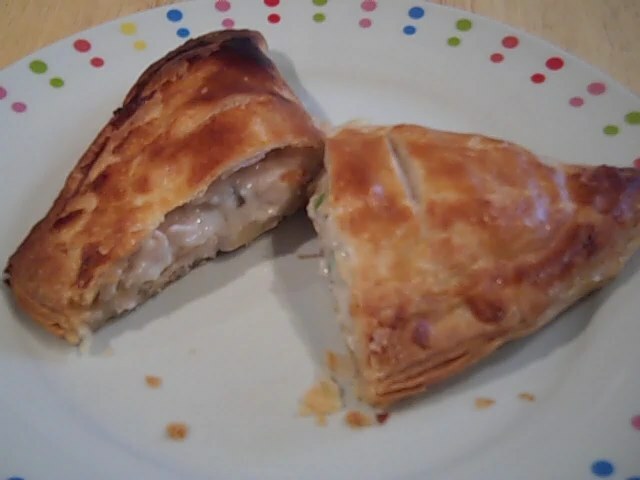 Who doesn’t love a pastie? This photo is before cooking them as I wanted to freeze them. Preheat oven to 200C/400F/gas mark 6. Cut the chicken into bite size pieces. Add the chicken to the hot oil and cook for about 10 minutes, add salt and pepper if needed. Cook until it has turned white, you don’t want to brown it. Add the mushroom soup and cook for 3 – 5 minutes, then leave to cool. Roll the pastry out to, 30.5cm/12ins then cut into 4 equal squares. Spoon a quarter of the chicken mixture onto one half of each square. Brush the edges of the square with a little beaten egg. 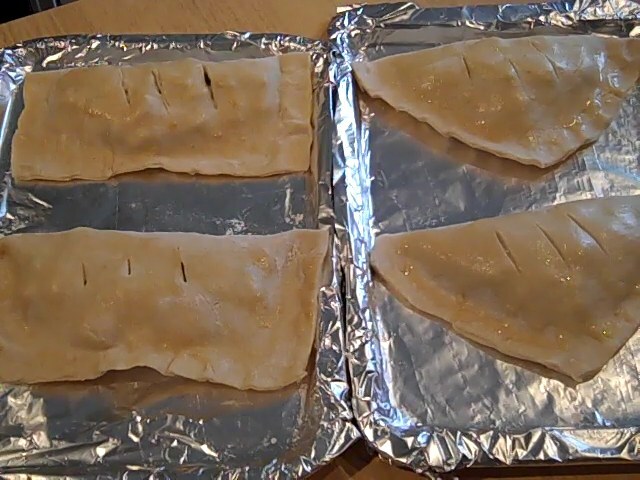 Fold the pastry over to make a triangle or rectangle pastie.Seal the edges well and place on a lightly oiled baking sheet. Repeat until all squares are used. Make shallow slashes in the top of the pastry with a sharp knife, to allow steam to escape. Brush the pasties with the remaining beaten egg and cook for 20 minutes, or until puffy and golden brown.